A modern slice of Americana, Paige denim is created by an in-house team right in sunny Los Angeles. 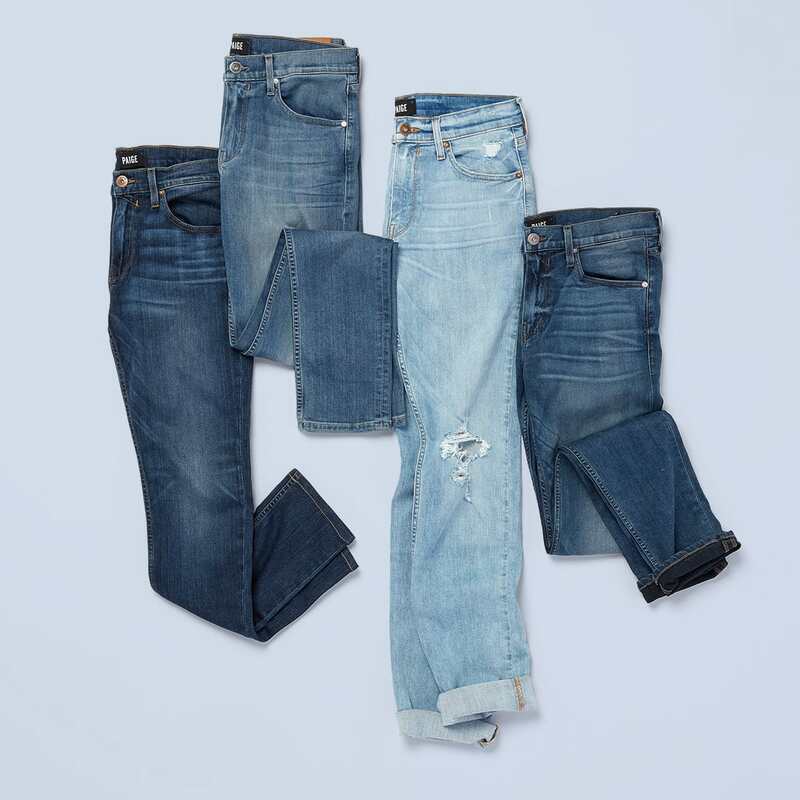 The brand manufactures all of their jeans locally, from designing the samples to dying the fabric at nearby wash houses. By not outsourcing, the brand can be entirely hands-on—and the result is a great-fitting pair of jeans that doesn’t compromise on quality. Read on to find your just-right fit. Paige’s founder, Paige Adams-Geller, worked as a fit model for years before she launched her namesake line. That’s why this brand has such a rich array of fits, ranging from straight relaxed to modern skinny, and everything in between (the slim-straight fit is a great middle ground to try). Dark denim is often a popular choice for fall, but we have some tips on how to style light denim, too. It’s way easier than you’d think. 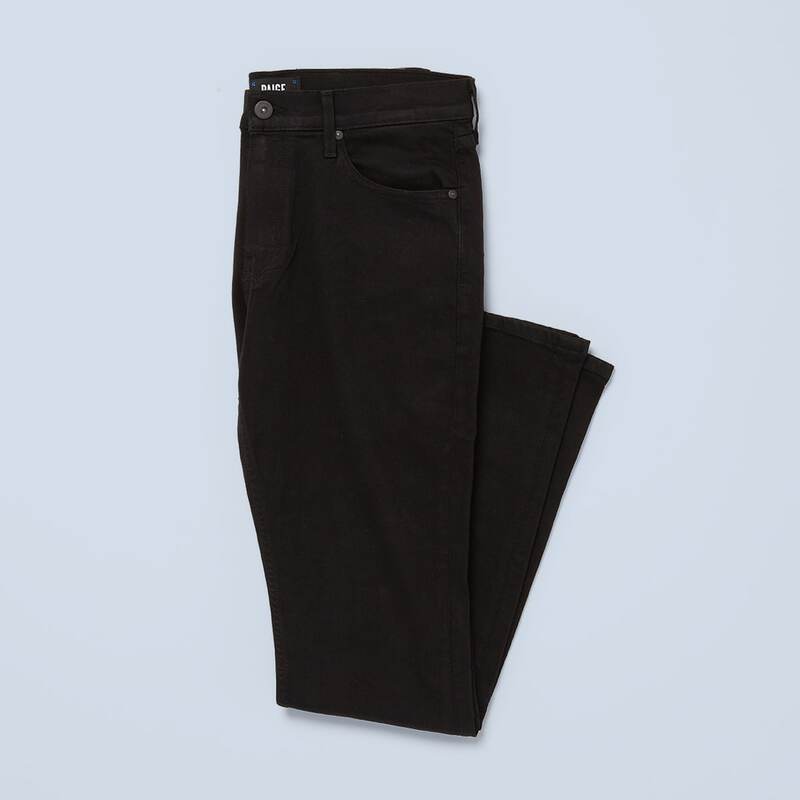 If you haven’t yet, add a pair of slim, black denim to your list of closet essentials. 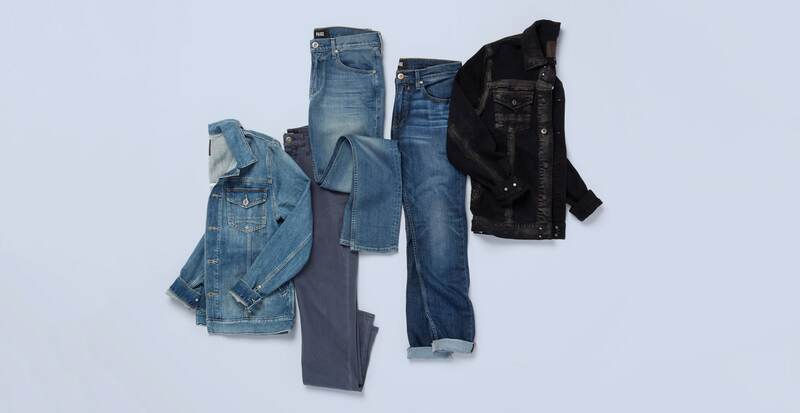 Seriously versatile (wear them with everything from cashmere sweaters to vintage T-shirts), it’s the coolest way to wear denim. Not to mention, black denim transitions seamlessly from day to night with a few simple swaps. Care tip: Turn black or dark denim inside out when washing to avoid fading. 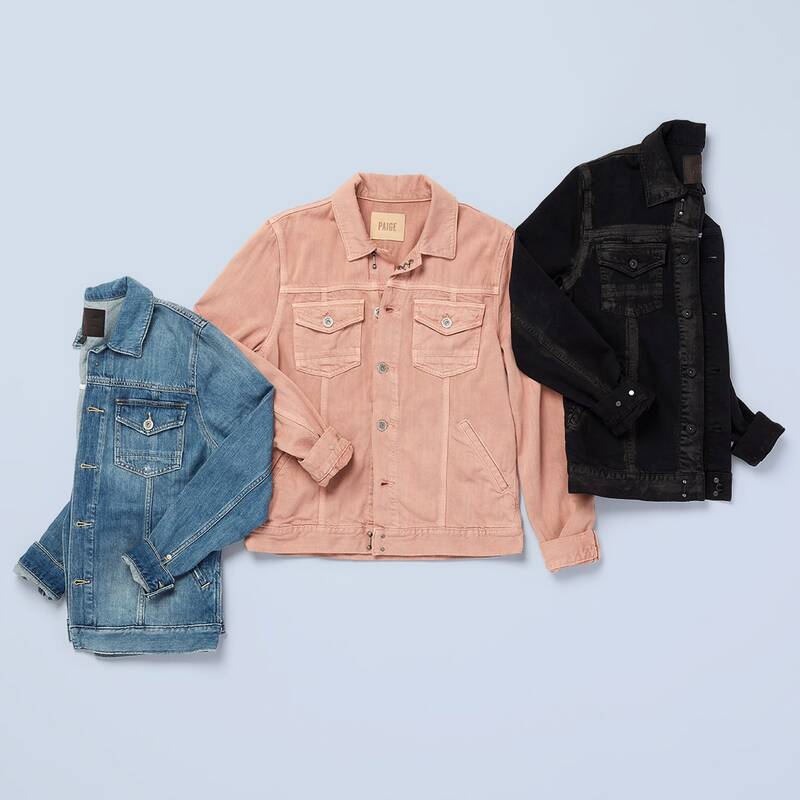 Paige’s selection of short-sleeve shirts, flannels, and jackets can fill a wardrobe with ease, and we consider a denim jacket to be a staple item in your closet. Blue is a classic choice, but don’t be afraid to branch out in color. A dusty pink could show off an adventurous, creative side, and is still muted enough to pair easily with neutrals. Collect a couple and you’ll be set for any kind of occasion this fall.